1. Lord Krishna is the 8th incarnation of the Lord Vishnu. According to the Bhagavata Purana, Krishna is termed as Svayam Bhagavan since he was the purna-avatara or full incarnation of Lord Vishnu. 2. Krishna is often described and portrayed as an infant or young boy playing a flute as in the Bhagavata Purana, or as a youthful prince giving direction and guidance as in the Bhagavad Gita. The stories of Krishna portray him in various perspectives: a god-child, a prankster, a model lover, a divine hero and the supreme being. The principal scriptures discussing Krishna's story are the Mahabharata, the Harivamsa, the Bhagavata Purana, and the Vishnu Purana. 1. One Name of Lord Krishna is Sanatan. Lord Krishna united the whole world, which was by then mostly divided. He gave knowledge to people in the form of Bhagvad Gita. A religion ensued in the whole of India after that and it was named after him as Sanatan Dharma. 2. The then Sanatan Dharma did not have any of the bad practices like Sati Pratha, Varna system was not enthrusted by birth, etc. 3. Persians called Indians as Hindu, because Indians lived on the other side of Indus river and Hindukush mountain. 4. During muslim rule Sanatan Dharma was called as Hindutva(Hinduism), which because of greedy nature of some religious leaders took the decision to enthrust Varna system by birth. Bad practices like Sati Pratha, Untouchability etc, were started afterwards. 5. Lord Krishna still remain the most endured of deities in Hinduism. He is the only Sampoorn Avatar(Complete God). 1. As we go through Mahabharat, we come to understand that after the submergence of Dwarka, Hastinapur, and Patliputra, Yadavas formed Kingdoms in Delhi, Multan, Orissa, Tamil nadu, Kashmir, etc. One of the Kingdoms formed Under Krishna's Brother Satyaki's Grandson Yugandhar, was formed around the Saraswati River. This kingdom combined with other Yadav Kingdoms, can be traced to be the forefathers of the Indus Valley Civilization. 2. Euan Mackie, an eminent archaeologist, had found a clay tablet of Krishna's Yamalaarjuna episode at Mohenjedaro, a site of the Indus Valley civilisation proving that even in 2200 BC, there was a culture of worshipping Krishna. A steatite tablet excavated by Mackay in Mohanjodaro 1927-31 depicts two persons holding a tree and tree god is extending his hands towards them,Mackay considers that it illustrates the famous episode of krishna,known as Yamalarjuna-lila. 4. The Harappan Krishna and the Unicorn of the Indus Seals s actually reflect the main Krishna and the Unicorn of the Indus Seals s of later Indian art with figures in seated meditation, sacred bulls, pipal leaf designs and even swastikas. 5. The most common Krishna and the Unicorn of the Indus Seals by far on the Indus seals, is that of a unicorn, a purely symbolic animal, which largely disappeared from the iconography of later India. 6. The Indus or Harappan unicorn always has a strange device like a cauldron always placed to its front, associating it with some sacrificial ritual. This device has been interpreted as an incense burner, fire altar or Soma filter. 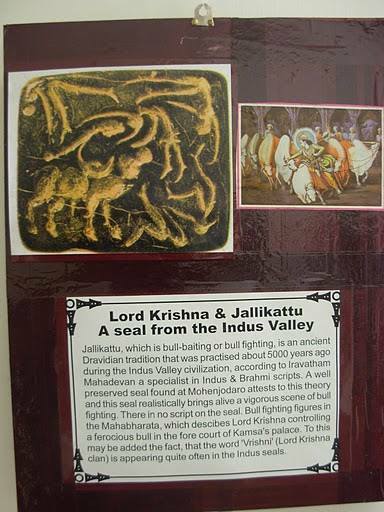 The seal is obviously primarily of religious value, not simply an artistic Krishna and the Unicorn of the Indus Seals much less a zoological representation. 7. From the underwater ruin of Dwarka (Lord Krishna`s ancient Capital city which was immersed in the sea) archaeologist in 2001 found metal tablet very similar which was found in Indus Valley civilization. This fact further establishes that the people in Indus Valley Civilization were the Yadavas of Dwarka who created their own kingdom under Satyaki's Grandson Yugandhara. 1. The stories of Krishna's play with the gopis (milkmaids) of Brindavana, especially Radha (daughter of Vrishbhanu, one of the original residents of Brindavan) became known as the Rasa lila and were romanticised in the poetry of Jayadeva, author of the Gita Govinda. These became important as part of the development of the Krishna bhakti traditions worshiping Radha Krishna. 2. Radha & Krishna are inseparable as far as worshipping is considered. 1. Every year the residents of Vrindavana worshiped Lord Indra for supplying rain. 2. One year when Krishna was a youth, He asked Nand Baba to worship Govardhana Hill instead of Indra. Krishna argued, "We do not derive any special benefit from Indra. Our specific relationship is with Govardhana Hill and Vrindavana forest. Let us have nothing to do with Indra." 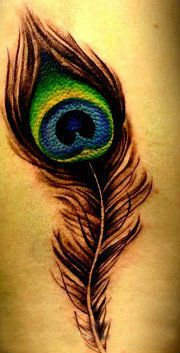 This is a great thought of Lord Krishna that Nature is greater than any demi-god. 3. King Nanda finally agreed with Krishna and prepared to offer the sacrifice to Govardhana Hill. This made Lord Indra angry and jealous. 4. Forgetting the divine position of Krishna, Indra reasoned, "These cowherd men in Vrindavana have neglected my authority on the advice of this talkative boy who is known as Krishna. He is nothing but a child, and by believing this child, they have enraged me." 5. Indra then sent a storm to devastate Vrindavana. 6. All the people and animals came to Krishna for shelter. 7. In a miraculous show of strength, Krishna lifted Govardhana Hill with one finger to make the mountain into a huge umbrella. 8. Everyone crowded underneath it and remained safe until the rains stopped. 9. Later, Lord Indra realized his mistake in attacking Krishna and apologized. 10. This is an example of one of the demigods behaving like a demon. Krishna Book explains, "Indra became angry because he thought that he was all in all within this universe and that no one was as powerful as he." 1. Krishna was born to Yadav King Vasudev, who was imprisoned by Kansa. Krishna freed his parents from Kansa by killing him, Kansa was an evil king of Sursena Kingdom, and was brother of Krishna's mother Devki. 2. After the Death of Kansa, Devki's father Ugrasen was made the King of Sursena Kingdom, while Vasudev was named as crown prince. 1. Krishna didn't fight in Mahabharat War, but was instrumental as a strategist in Pandava's victory. 2. Krishna's army i.e. Narayani Sena although fought for Duryodhana. 3. Bhagwad Geeta was delivered by Krishna to Arjuna in the Mahabharat war Itself. Bhagwad Geeta is the Holiest book of Hinduism. 1. Krishna had a total of 16,108 wives, of which only eight were his princely wives. 2. The other 16,100 were rescued from Narakasura. 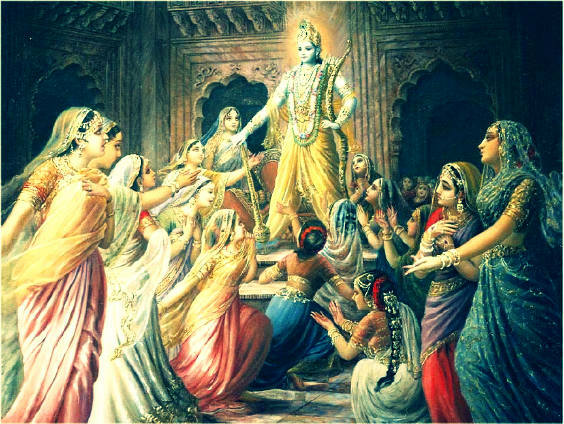 They had been forcibly kept in his palace and after Krishna had killed Narakasura he rescued these 16,100 women and freed them. 3. However, all of them returned to Krishna saying that because they had been kept by Narakasura none of their families would accept them and also nobody would marry any of them. 4. Krishna built a new palace and gave them a respectful place in society. 5. However keeping his princely wives as wives he never had any relations with the other women, and many Hindu scriptures describe them as dancing around Krishna, singing songs of praise. 1. Rukmini Devi : Of all his wives, Krishna loved Rukmini the most. She was his favorite wife. As his first wife she was his main consort (called a Patrini). Originally Rukmini was the daughter of the great King Bhishmaka, Lord of Vidarbha. He in no way wanted to have Krishna marry his daughter and he was in the process of betrothing her away to Prince Shishupala of Chedi. Since Rukmini was so in love with Krishna, and he with her, Krishna stole her away on her wedding day and took her to Dwaraka where they wed.
2. Satyabhama : The tale of his second wife begins in her previous life. She was host to much suffering in her life and after her death she sought shelter in Vishnu's "celestial palace (Vaikuntha)." While she was there she was a tireless servant for Vishnu and his care-taker. So much so that he promised she would be one of his wives in their next incarnation. During this life Krishna (Vishnu's reincarnation) sought to always make her happy. He did this by doing whatever she wished, irregardless of the wish. A tale is told of her infamous tantrums; while the Lord Indra came to Earth and visited Krishna he complemented Rukmini's beauty and gave her a Parijata flower. Satyabhama threw a tantrum and Krishna went into the spirit realm and brought her back an entire Parijata tree to plant. However, while these tantrums were not always appreciated, Krishna loved her fighting spirit. She was gifted with archery in warfar and also was very good at picking arguments which entertained Krishna immensely. 3. Jambavati : She was actually given in marriage to Krishna by her father, bear-king Jambavan. She was a very devoted disciple of Lord Rama. 4. Kalindi : She was the daughter of the Sun god Surya. She also was technically the keeper of the River Yamuna. When Krishna saw her, she was in deep penance. She was absolutely obsessed with marrying Vishnu and could not love another. Since he saw her devotion Krishna offered marriage. 5. Mitravrinda : She was sister to the Kings of Avantipura. 6. Nagnajiti : She was Princess of Kosala. 7. Bhadra : She was actually his cousin. She chose him as her husband in a Swayamvara Ceremony. 8. Lakshana : To win her hand in marriage, Krishna competed in an archery competition. He competed with Arjuna and Duryodhana, each who threw the match because they knew Krishna's passion for her. 1. The first son of Queen Rukmini was Pradyumna, and also born of her were Charudeshna, Sudeshna and the powerful Charudeha, along with Sucharu, Chharugupta, Bhadracaru, Charuchandra, Vicaru and Caru, the tenth. 2. The ten sons of Satyabhama were Bhanu, Subhanu, Svarbhanu, Prabhanu, Bhanuman, Chandrabhanu, Brihadbhanu, Atibhanu (the eighth), Sribhanu and Pratibhanu. 3. The ten sons of Jambavati were Samba, Sumitra, Purujit, Satajit, Sahasrajit, Vijaya, Citraketu, Vasuman, Dravida and Kratu. These ten, headed by Samba, were their father's favorites. 4. The ten sons of Nagnajiti were Vira, Candra, Asvasena, Citragu, Vegavan, Vrisha, Ama, Sanku, Vasu and the opulent Kunti. 5. The ten sons of Kalindi were Sruta, Kavi, Vrisha, Vira, Subahu, Bhadra, Santi, Darsa and Purnamasa. Her youngest son was Somaka. 6. The ten sons of Lakshamana ( or Madra ) were Praghosha, Gatravan, Simha, Bala, Prabala, Urdhaga, Mahasakti, Saha, Oja and Aparajita. 7. The ten sons of Mitravinda were Vrika, Harsha, Anila, Gridhra, Vardhana, Unnada, Mahamsa, Pavana, Vahni and Kshudhi. 8. The ten sons of Bhadra were Sangramajit, Brihatsena, Sura, Praharana, Arijith, Jaya, Subhadra, Vama, Ayur and Satyaka. 1. After Mahabharata, Krishna and Pandavas Unified the whole of Aryavrata, their rule spanned whole of India, Pakistan, Afghanistan, Iran, Arabia, Israel, Syria, Turkey etc. 1. Prophet Mohammad talked about Lord Krishna in Quran. 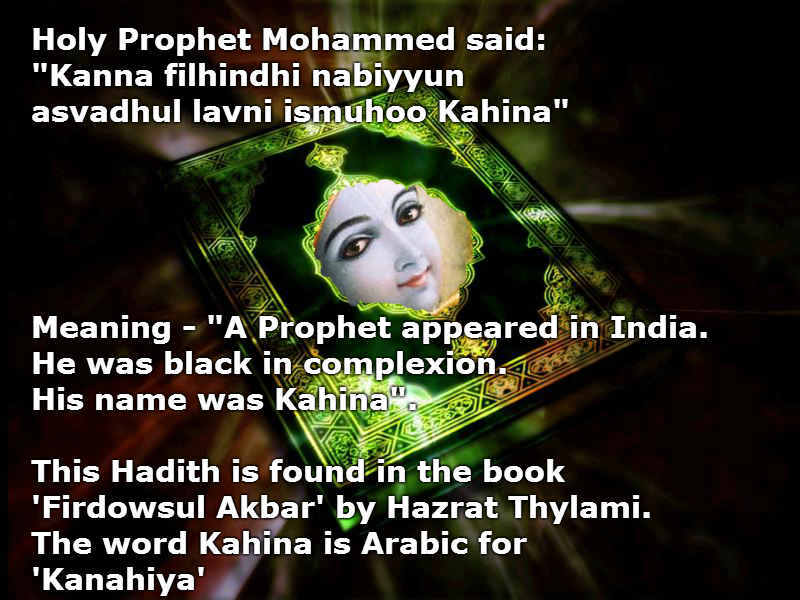 At one place Prophet says that "In India Once there lived a Prophet Named Kahina, who was dark in Colour". Kahina is Kanaiah in Arabic. 2. Greek Hero Hercules was actually Krishna. According to Greek Philosopher Megasthenes, Herakles was none other than Krishna himself. 3. Krishna was the King of Israel Melchizedek, mentioned in Bible. It was linguistically proven by some historians. Although there isn't wholesome agreement on it as yet. 4. The temple of Somnath was a Krishna temple when it was built. 5. The Empire of Atlantis is thought to have been Dwarka. 6. Deepawali festival was first celebrated as a Day when Lord Krishna killed Narkasur. Later it was started to be celebrated as the day when Lord Rama came back to Ayodhya. yadava and golla are same or not?